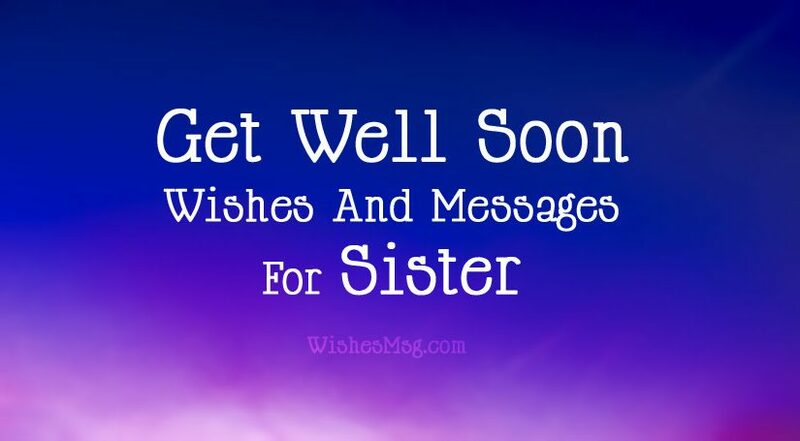 Get Well Soon Sister Wishes and Messages : Sisters are always adored by their brothers and sisters. Every sibling wants to protect her lovely sister from all danger. So, it is so sorrowful when you see her in pain or sick. The best thing a sibling can do during that tough time is sending speedy recovery wishes for sister when she is lying sick and getting bored. Your heartfelt get well messages for sister will boost up her confidence. But, what to write on get well card for a sister? We have arranged some of the most unique, inspirational, emotional and funny get well soon wishes for sister. Select the one you like and write it down in a get well card and send it right away to your cute sister. Also, in that time you may check our curated best get well soon messages article to get more. I know you are a brave girl. Never lose hope. Very soon, God will grant you all the strength to overcome your illness! Get well soon. Sending you all the warm wishes with flowers and hugs, so that they bring you a cheerful day and make you feel better and healthier. Get well soon. Seeing you sick is the most painful experience for me, but I believe that you have the strength to get over your sickness. Get well soon. I wish you a long life and quick recovery. May you win over your illness! Get well soon my sister. I am missing your presence and smiling face around me all the time. May you get a quick recovery and come back home soon! Home is empty, smiles are gone, life is on the pause mode when my sister is sick-abed; Get well soon dear! May God send an angel to my angel and bestow her with care and healing power! Get well soon dear little sis. You are the strongest girl ever, who knows how to vanquish all the tough times in life, and I believe this time, you will rock too. Get well soon. It is all right to be sick sometime so that you can grab everyone’s attention. 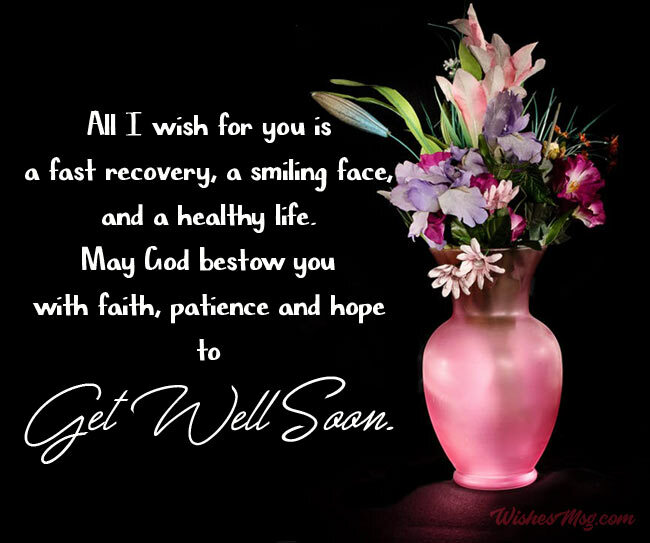 May you get well soon! I am enjoying all the foods at home alone as there’s no competition left here; though something is missing. That’s why I want you to get well soon. 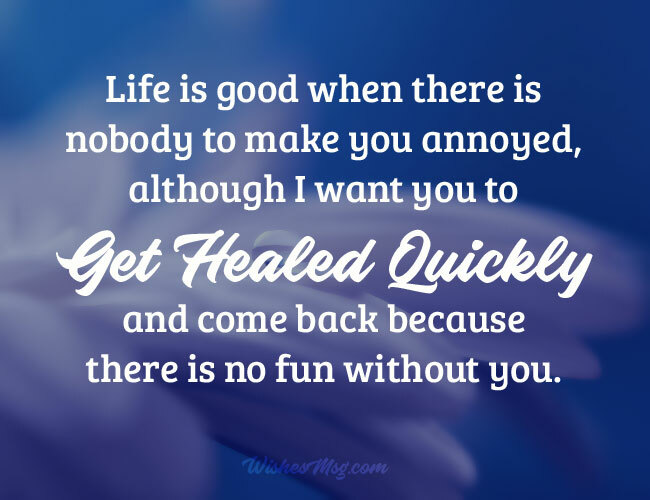 Life is good when there is nobody to make you annoyed, although I want you to get healed quickly and come back because there is no fun without you. Hey, Sis if you won’t come back home soon, I am going to have this summer trip all alone. So, you better get well soon. I just don’t hope all my warm wishes make you feel the warmth of your last night fever again! Sending you a lot of hug with lots of love. You’re the queen of bad humor and ironically I’m missing you! So get back home after a quick recovery. May you feel better! Don’t lose hope. You’ll be back to us healthy and kicking very soon! We are eagerly waiting to see you annoy us with your stupidity, so get well soon. 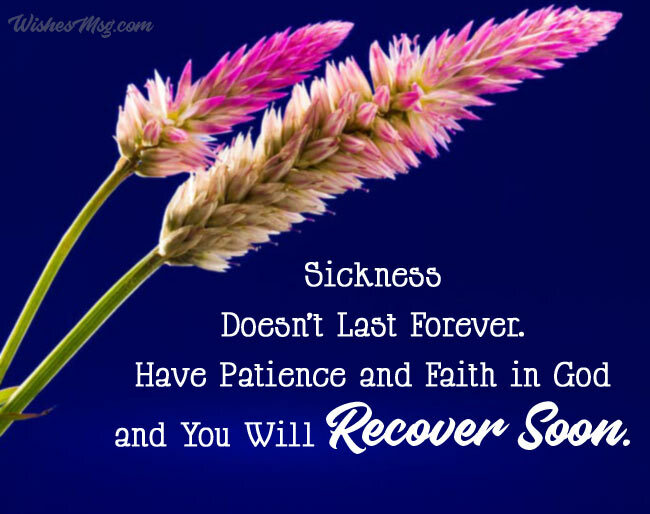 Sickness does not last forever. Have patience and faith in God and you will recover soon. I have faith in you that you are strong enough to fight any sickness. Hope to see you next morning after a speedy recovery. It is so painful to see you sick but I know you will fight back and get well soon. All I pray to Lord Jesus that he give you strength and patience to overcome this tough time. May you get back to healthy life very soon! I wish something magical happens and all your sickness just vanish. Have faith in God. The day you are fully recovered is near. All I wish for you is a fast recovery, a smiling face, and a healthy life. May God bestow you with faith, patience and hope to get well soon. May Almighty end your sickness soon and bring us back the sunshine of our life. Every day I pray to Lord for your quick healing so that delight and joy may resume coming into our life. Ever since you’ve become sick, my prayer has been all about your rapid recovery and swinging back to your healthy and happy life. 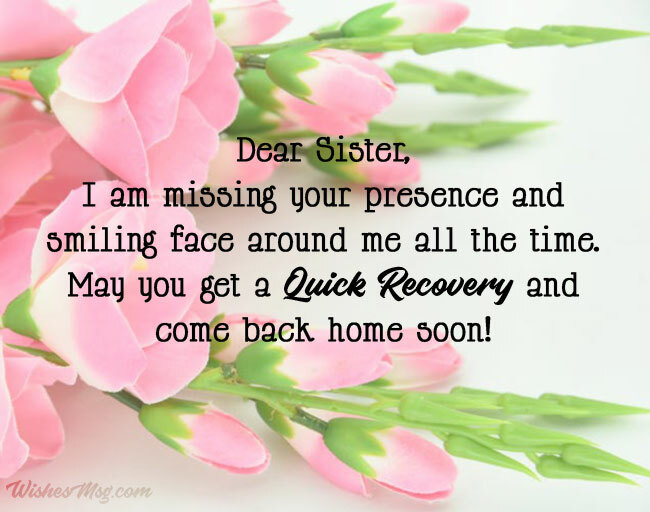 So, make your adorable sister feel special and cared with these emotional, loving and interesting get well wishes and messages. Through the period of her illness, let her think positive and give her the confidence to overcome the situation by sending get well soon cards written with these speedy recovery wishes!